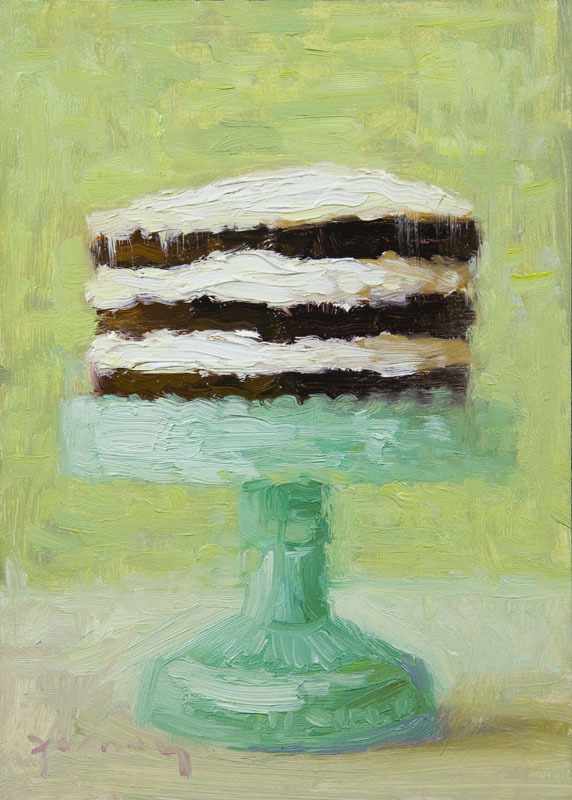 I just discovered this Artist Paul Ferney on "Moon Face" a blog of yummy treats, simple pleasures and inspiring thoughts from Cassie Marie. 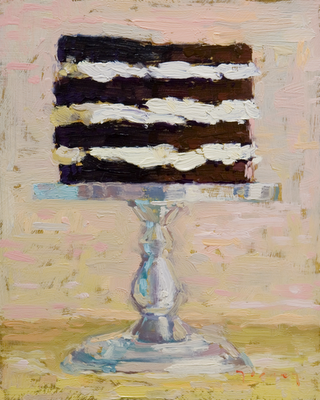 Now Paul is based in San Fransisco and works in oil paints. 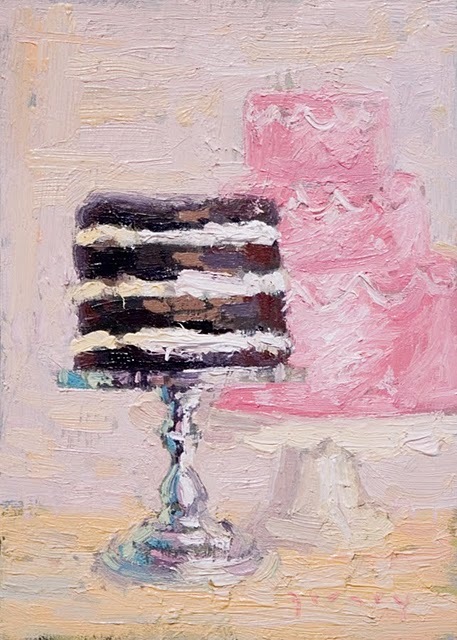 I like the way he paints and how the thickness and texture of the paint accompanies and adds to the idea of icing and cream in his cakes. How truly wonderful and scrumptious these artworks are. I would love to buy one.